Reservations: Box Office: (323) 655-2510 – Advance Ticket Purchase Recommended – BUY TICKETS HERE! Blast Phemy 1 is a kaleidoscope of media/music collaborative potentials, from mid-century experimentations to spontaneous singularities. Featuring: Amy Knoles stretching the limits of expression with solo electronic percussion/interactive video virtuosity; J.Walt’s Spontaneous Fantasia, solo Digital Animation Performance blasting visuals and music into uncharted territories; F-Stop Serenade’s tapestry of hand-processed film and music featuring filmmaker/organist Mark “Cosmo” Segurson with Heather Lockie, Michael Uhler, James King, Noah Smith, Billy Louviere, Pilar Diaz. Blast Phemy! Is supported by generous grants from The National Endowment for the Arts and The City of Los Angeles Department of Cultural Affairs. Amy Knoles stretches the limits of expression in music with a practiced technique, which effortlessly glides from ancient exotic instruments to state-of-the-art electronic percussion controllers and interactive computer music and video technologies. Amy is the Exec. Dir. of the California E.A.R. Unit. She also works with Natural Plastic, Kronos Quartet, Squint, the Paul Dresher Ensemble, Collage Dance Theater, the Los Angeles Philharmonic New Music Group, Ensemble Modern of Frankfurt, The Bang On A Can All Stars, and Basso Bongo. Amy has worked with John Cage, Elliott Carter, Morton Feldman, Louis Andriessen, Don Preston, Frank Zappa, Morton Subotnick, Steve Reich, Tod Machover, Flea, Quincy Jones, Milton Babbitt, Charles Wournien, M. Kagel, John Luther Adams, John Adams, and many others. J. Walt is an interactive designer, filmmaker, graphic artist, and composer. He has been at the forefront of interactive art and computer performance, expanding the uses of computer animation into uncharted territories. He is an award-winning pioneer of computer-generated puppetry, having created many digital puppets over the years. In March of 2006, he won a Technical Academy Award for his development of a real-time pre-visualization system. F-Stop Serenade is a Los Angeles based intermedia performance ensemble founded by filmmaker, organist Mark Cosmo Segurson and featuring Heather Lockie, Viola; Michael Uhler, Bass; James King, Saxophone & Penny Whistle; Noah Smith, Percussion; Billy Louviere, Electric Guitar; and Pilar Diaz, Vocals. Their unique brand amalgam of original 16mm films and live musical scores has been featured at The Hammer Museum, The Echo Park Film Center, The Black Cat Gallery, The Malibu Annual, The Kathryn Brennan Gallery, and various backyards and spacious living rooms throughout the Southland. NewTown strives to make people aware that contemporary art forms are innovative, accessible, enjoyable and important parts of society’s fabric. NewTown often defines itself as “a laboratory for innovative presentational formats.” The goals of these formats are to bring new audiences to today’s cutting-edge art, while providing artists with new and challenges contexts in which to make new art. NewTown has brought new art works and new art forms to an estimated 171,000 people, many of whom had never encountered “experimental” art, with many of the events free and in public spaces; been a leading advocate for small, grassroots arts organizations; and maintained minimal administrative costs, so over 85% of all memberships, grants and ticket sales go directly to artists and event production. Filmforum was incorporated in 1975 to promote a greater understanding of film as an art form and the filmmaker as an artist by providing a forum for independently produced, experimental films, which have little opportunity of reaching the general public through normal channels of commercial distribution. Presenting approximately 45 screenings annually, Filmforum is currently the only venue in Southern California dedicated exclusively to the ongoing, non-commercial exhibition of independent, experimental, and progressive cinema. Filmforum facilitates cross-cultural dialogue by collaborating with other arts organizations to bring alternative media into traditionally underserved communities and to bring work from those communities to its regular venue. This geographically-diverse, multi-site programming also encourages shared audiences among arts organizations. Filmforum encourages the production of diverse independent media art. Through its eclectic series of in-person screenings and workshops, Filmforum provides the inspiration, models, and information necessary for the production and distribution of new work by local and emerging artists. Filmforum champions the dual imperatives of aesthetic and cultural diversity as necessary components for 1) enriching the art form and 2) assuring inclusive, democratic participation in social discourse. Filmforum provides valuable exposure for local artists. Its First Sight Scene series features new work by artists in the formative stages of their careers, in a format highlighting new ideas and aesthetics emerging in our evolving city. Retrospectives of work by major figures in the history of alternative media are complimented by thematically-based programs combing works of all generations. The Cinefamily is an organization of movie lovers devoted to finding and presenting interesting and unusual programs of exceptional, distinctive, weird and wonderful films. The Cinefamily’s goal is to foster a spirit of community and a sense of discovery, while reinvigorating the movie-going experience. Like campfires, sporting events and church services, we believe that movies work best as social experiences. They are more meaningful, funnier and scarier when shared with others. Our home is the Silent Movie Theatre, one of Hollywood’s most beloved and beautiful cultural landmarks. There, The Cinefamily will provide a destination spot for Los Angelenos and others to rediscover the pleasures of cinema. Built in 1942 by John and Dorothy Hampton, The Silent Movie Theatre ran for decades as the only fully functioning silent movie theatre in the country. It has been fully restored to its original, vintage 1940s art deco design, along with a brand new screen and sound system, to help a new generation enjoy the pleasures of cinema in a beautiful theater. Interviews and images available upon request. Blast Phemy 1 is supported by generous grants from The National Endowment for the Arts and The City of Los Angeles Department of Cultural Affairs. Acclaimed avant-garde ensemble Text of Light, featuring Sonic Youth founder Lee Ranaldo & Alan Licht, guitarists/composers, and composer/saxophonist Ulrich Krieger, presents live musical scores to the films of Stan Brakhage and other members of the American Cinema avant garde of the 1950s-60s (Brakhage’s film “Text of Light” was the premiere performance and namesake of the group). The original premise was to improvise (not ‘illustrate’) to films from the American Avant-Garde (50s-60s etc), an under-known period of American filmic poetics. 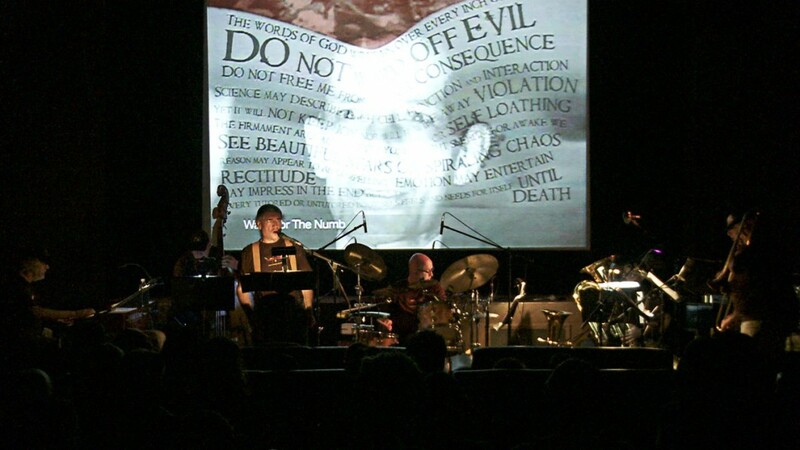 To date the group has performed with the following films: Brakhageʼs The Text of Light, Dog Star Man, Anticipation of the Night, Songs; Harry Smithʼs Mahagonny outtakes, Oz-The Approach to the Emerald City, and Late Superimpositions. The group has headlined the Victoriaville Music Festival, Canada (2002); Three Rivers Film Festival, Pittsburgh; Walker Art Center, Minneapolis; Centre Georges Pompidou, Paris; and have done several tours of Europe as well as performing in New York City and other USA club and cinema venues. Stan Brakhage (January 14, 1933 – March 9, 2003) is one of the most important figures in 20th century experimental film. Over five decades, Brakhage created a large and diverse body of work, exploring a variety of formats, approaches and techniques that included handheld camerawork, painting directly onto celluloid, fast cutting, in-camera editing, scratching on film and the use of multiple exposures. Interested in mythology and inspired by music, poetry and visual phenomena, Brakhage sought to reveal the universal in the particular, exploring themes of birth, mortality, sexuality and innocence. In 1974, Brakhage completed his major abstract film The Text of Light. Over the past two decades, guitarist Alan Licht has worked with a veritable whoʼs who of the experimental world, from free jazz legends (Rashied Ali, Peter Brotzmann) and electronica wizards (Fennesz, Jim OʼRourke) to turntable masters (DJ Olive, Christian Marclay) and veteran Downtown New York composers (Phill Niblock, Rhys Chatham). Licht is also renown in the indie rock scene as a bandleader (Run On, Love Child) and supporting player to cult legends like Tom Verlaine, Arthur Lee, Arto Lindsay, and Jandek. He has released five albums of compositions for tape and solo guitar, and his sound and video installations have been exhibited in the U.S. and Europe. With Sonic Youthʼs Lee Ranaldo, he founded Text of Light, an ongoing ensemble which performs freely improvised concerts alongside screenings of classic avant garde cinema. Licht was curator at the famed New York experimental music venue Tonic from 2000 until its closing in 2007, and has written extensively about the arts for the WIRE, Artforum, Modern Painters, Art Review, Film Coment, Sight & Sound, Premiere, Purple, Village Voice, Time Out New York, and other publications. His first book, An Emotional Memoir of Martha Quinn, was published by Drag City Press in 2003; Sound Art:Beyond Music, Between Media, the first extensive survey of the genre in English, was published by Rizzoli in fall 2007. Lee Ranaldo is a composer, visual artist, writer, and founding member of the New York City group Sonic Youth, who continue to record new music and tour the world on a regular basis. Their most recent record, The Eternal, was released in June 2009 on Matador Records. His visual and sound works have been shown at galleries and museums around the world. Among Lee’s solo records are Dirty Windows – a collection of spoken texts with music, Amarillo Ramp (for Robert Smithson) – pieces for the guitar, and the recent collection Maelstrom from Drift. His most recent solo recording is Weʼll Know Where When We Get There, in collaboration with partner Leah Singer [2009, CNEAI]. His books include Bookstore, Road Movies, Jrnls80s and Lengths and Breaths. The recent publication, Hello From The American Desert , a book of poems based on internet spam, was published by Silver Wonder Press in 2008. His visual work is currently on view in the show Sonic Youth, etc : Sensational Fix, which will next open at the Centro de Arte Dos de Mayo, Madrid on January 28, 2010. Ulrich Krieger studied composition, electronic music and saxophone in New York and Berlin, Germany. He calls his way of sax playing : ‘acoustic electronics’ and often uses his instrument more as an ‘analogue sampler’ from which he can play his ‘quasi-electronic’ sounds, which then get processed – rather than as a traditional finger-virtuoso instrument. By amplifying his instrument in different ways, he gets down to the ‘grains of the sounds’, changing their identity and structure from within. He collaborated with artists like: Lou Reed, La Monte Young, Phill Niblock, David First, Lee Ranaldo, Elliott Sharp, Thomas Köner, Witold Szalonek, Mario Bertoncini, Miriam Marbe, hespos, Merzbow, Dietmar Diesner, Wolfgang Fuchs, and many others. His works were performed by: Soldier String Quartet, zeitkratzer, oh-ton ensemble, Ensemble United Berlin, California Ear Unit, Seth Josel, and many more. He toured as a soloist, composer, and with various bands, ensembles and orchestras (including ‘Ensemble Modern’ and the ‘Berliner Philharmoniker’) through Europe, North America, Asia and Australia, including radio and TV broadcasts. He has been awarded various international grants, residency, and prizes and has released several CDs on American and European labels. Pretty sounds and pretty pictures. Through a chance meeting filmmaker Huckleberry Lain crossed paths with electronic music artists Languis. Both have a strong passion for experimentation with abstraction – one for sound and the other for image. After witnessing each other’s craft they decided to collaborate on this piece. Sound came first and then image. Both artists have deep roots in the independent art world, but also enjoy the high tech playground. Therefore, this piece is properly presented in HD stereoscopic 3-D with 5.1 sound. Description is beyond words, but is reminiscent of Harry Smith’s abstractions and the Whitney Brother’s experiments married with electronic shoe-gaze sounds spawned from My Bloody Valentine and Aphex Twins. The music for “Parallel” consists of some original work made for this project, mixed with songs and passages the band composed in the past for other projects, performances and releases. The music features the more experimental, and abstract side of Languis, with clear references to musique concrete, ambient music, and sound collage. There is in a way a story being told through the music. The story may not be one that can be explained, it is more like a sequence of feelings and experiences. The collaboration with Huckleberry Lain came from the two meeting at a Languis live performance. After exchanging ideas, the two realized there was too much common ground to pass the opportunity in working together. The end result is a work that features sound and image existing in parallel realities; connected, yet independent from each other, but always inevitably following the other side and depending on each other for direction and meaning. From abstraction to rigorously organized rhythms and shapes, the story of “Parallel” is one of transition and change, a journey describing transformation of states of mind and place. Languis conceives mental images via melodies and moods. They construct sonics that interact, much like color and shape evolve and dissolve in paintings. Their melodic warmness is a signature that they developed through songwriting and experimentation in the studio. The depth and richness of their sound creates its own universe of emotions that are hard to pinpoint, but shows clear influences from rock, pop, noise, and electronic music. Vocals interact in it, mostly like any other instrument, often mixed in the back and precisely unclear. Their work is a lucid example of their relationship, where they each play guitars, synthesizers, and vocals, but never quite agree on the results. A decade’s worth of collaboration has yielded 6 LPs and 5 singles that capture the dual nature of the surroundings of life. Each release has demonstrated the complexity and simplicity which immerses daily motions and emotions. Languis has performed live with Mouse on Mars, Arab Strap, Hood, Broadcast, Dntel, Kid 606, Blectum From Blechdom, Nobody, Pulse Programming, Sutekh, OST, Safety Scissors, Marumari, Scanner, and many others. Languis performs frequently in the Los Angeles area and soon look to tour. Languis currently consists of Alejandro Cohen as founding member on guitar, keyboards and vocals as well as John Girgus on guitar, keyboards, some bass and vocals. Huckleberry has been making films for over 8 years with more than 10 films completed within that time. He usually sticks to experimental and animation, but he has made documentaries, live-action comedies, stop-motion tragedies and many other styles and genres. He has performed in the films of underground film legends Mike and George Kuchar, rising filmmaker Marie Losier and established video artist Katja Loher as well as other individuals. Huckleberry has shown his films in many festivals including USC’s First Look Film Festival, the New York Underground Film Festival, the South Bronx Film Festival, the Chicago Underground Film Festival, the Antimatter Underground Film Festival, the Lower Westside Film Festival and many others. He has had films included in screenings around the United States including the LA Film Forum at the Egyptian Theatre in Hollywood, the Robert Beck Memorial Cinema in New York City and the Artist Television Access in San Francisco among other places. Show #3 in the Blast Phemy series features outstanding musical soloists performing new and cutting edge works seamlessly melded with a spectrum of media styles and techniques, including video montage, 3D animation and multi-projector 8mm film. As a composer, pianist, and musical saw / Vietnamese dan bau soloists,Luciano Chessa has been active in Europe, the U.S., and Australia. Among his compositions, it is worth mentioning a piano and percussion duet after Pier Paolo Pasolini’s Petrolio, written for Sarah Cahill and Chris Froh and presented in 2004 at the American Academy in Rome, Il pedone dell’aria for orchestra and double children choir, premiered in 2006 at the Auditorium of Turin’s Lingotto and subsequently released on DVD, and two works in collaboration with artist Terry Berlier: Louganisfor piano and TV/VCR combo and Inkless Imagination IV for viola, mini-bass musical saw, turntables, percussion, FM radios, blimp and video projection. Recent premieres include a large orchestral work commissioned by the Orchestra Filarmonica di Torino, Italy and titled Ragazzi incoscienti scarabocchiano sulla porta di un negozio fallito an.1902, andMovements, a multimedia work for 16mm film, dan bau and amplified film projectors produced in collaboration with filmmaker Rick Bahto. Chessa is currently working on the completion and staging of an oratorio titled Urlo impietrato, a scene of which has already been premiered in 2008 by Nicole Paiement and the Ensemble Parallele. Through his label, Strawberry Hill Records, he has recently released three new recordings: Tom’s Heart for two-pianos-one player and video by Terry Berlier (DVD), Tryptique pour Gérard for quartet (CD), andMoney is Money and Time is Time for Vietnamese dan bau (CD), which includes two pieces written in collaboration with LA-based singer Christine Morse. His research on Italian Futurism, which he has presented and published internationally, has shown for the first time the occult relationship between Luigi Russolo’s intonarumori and Leonardo da Vinci’s mechanical noisemakers. He is currently working on Luigi Russolo Futurista. Noise, Visual Arts, and the Occult the first monograph dedicated to Russolo and his Art of Noises, forthcoming by the University of California Press. 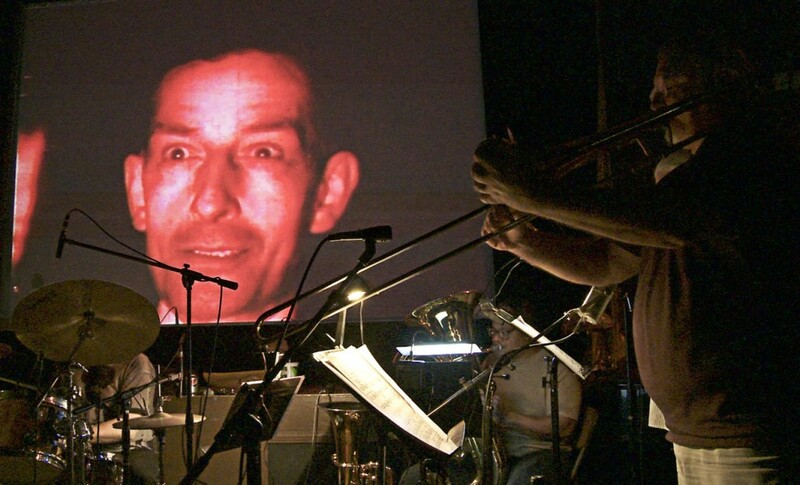 Chessa’s Futurist expertise has resulted in an invitation by RoseLee Goldberg, General Director of the New York-based Biennale of the Arts PERFORMA to direct the first complete reconstruction project of Russolo’s intonarumori, and to curate concerts of music specifically commissioned for this ensemble. The new intonarumori ensemble has been unveiled in October 2009 at San Francisco’s YBCA’s Novellus Theater and then presented in NYC’s Town Hall in November for PERFORMA 09, in concerts co-produced by PERFORMA and SFMOMA and featuring an impressive array of world premieres written by such composers and ensembles as Mike Patton, Ellen Fullman, Joan La Barbara, Text of Light, Blixa Bargeld, Pablo Ortiz, Ulrich Krieger, Elliott Sharp, Pauline Oliveros, among others. This production, hailed by the New York Times among the best events in the arts of 2009, also included Chessa’s L’acoustique ivresse, for bassvoice and intonarumori ensemble. Trained at UC Davis and at both Bologna’s University and Conservatory, Chessa taught and lectured at various prestigious institutions including St. John’s College of Oxford, Columbia University, Sydney’s and Melbourne’s Conservatories and Universities, the Conservatory of Music in Bologna, UC Davis, UC Berkeley, Stanford University, and EMPAC in the campus of Rensselaer Polytechnic Institute. He has been interviewed by the CBS (KPIX/KBHK) television channel as an expert on Italian 1990s hip-hop and by the British BBC as Luigi Russolo’s foremost scholar. He currently teaches at the San Francisco Conservatory of Music, and collaborates with SF’s Italian Cultural Institute. His music is published by RAI TRADE, the Italian National Broadcast Channels’ music publishing company. Rick Bahto is an artist working with Super and standard 8mm film currently living in Los Angeles. His works have been exhibited at the Museum of Modern Art, the San Francisco Cinematheque, Chicago Filmmakers, Wolfart Projectspaces (Rotterdam), Director’s Lounge (Berlin), Maria Pandora (Madrid) and at festivals including The 8 Fest (Toronto), Small Windows 8mm Film Festival (San Francisco), the Seoul Festival of Super 8 Experimental Film and the Experimental Film Today Conference (Preston, UK). He recently curated a program of films entitled Luminous Triptych, which he presented in San Francisco (at Artists’ Television Access), Los Angeles (at Echo Park Film Center) and Phoenix (at Deus Ex Machina Gallery, with No Festival Required). This year he will be teaching several Super 8 filmmaking, hand-processing and in-camera editing workshops at the Echo Park Film Center. Composer and Performer Eve Beglarian, according to the Los Angeles Times, “is a humane, idealistic rebel and a musical sensualist.” She recently completed a journey down the Mississippi River by kayak and bicycle, which is documented on herRiverBlog. Beglarian’s music has been commissioned and performed by the Los Angeles Master Chorale, the American Composers Orchestra, the Bang on a Can All-Stars, the Chamber Music Society of Lincoln Center, the California EAR Unit, and the Paul Dresher Ensemble. She has also worked extensively in theater, with directors Lee Breuer (Mabou Mines) and Chen Shi Zheng; in dance, with Ann Carlson, Victoria Marks, Susan Marshall, and David Neumann, and with visual and video artists Cory Arcangel, Anne Bray, Barbara Hammer, and Shirin Neshat. Recordings of Eve’s music are available on Koch, New World, Cantaloupe, Accurate Distortion, Atavistic, Innova, Kill Rock Stars, and Naxos. Anne Bray has been working at the intersection of public art and media art since the mid ’70s as an artist, teacher and administrator. Video projection is her usual medium. As an artist and curator she exhibits temporary installations combining personal and social positions via video, audio, flat and 3-d screens at museums, galleries, gas stations, malls, movie theaters, on TV, in department stores, on billboards. She has produced public art projects funded by Public Art Fund, NY Avant Garde Festival, LACE, among others, and mixed media installations at Santa Monica Museum of Art, Banff Centre and Art & Eco Triennial in Maribor Slovenia. In 2010 she is showing her videos at Stanford Lively Arts, Newtown at Cinefamily, Pasadena Art Alliance and next year at the Getty Villa and Montalvo Arts Center, each in collaboration with postmininalist composer Eve Beglarian. This year she is also showing artists’ videos at LACMA Late Night, Occidental College, GLOW art festival in Santa Monica and permanently installing video art at LAX airport on 80+ screens. As a lecturer, she teaches graduate seminars in the new genre arts at Claremont Graduate University plus public art and multimedia at University of Southern California. Susan Allen is widely known for her premiere performances of new music for harp throughout the U.S., Canada, South America, Australia and Europe. She has appeared on the NBC Today Show, National Public Radio with the Vermeer String Quartet, New York Philharmonic’s Horizons Series, Carnegie, Weill, Alice Tully, Merkin and Symphony Space halls in New York, the Kitchen, the Smithsonian Institute, Gaudeamus Contemporary Music Week in the Netherlands, the Ferienkurse fur Neue Musik in Darmstadt, Germany and the Festival de Caracas, Venezuela. With jazz great Yusef Lateef she performed at the Los Angeles Festival, the Verona Jazz Festival in Italy, the World Music Institute’s Concert Series in New York, the Jazz Bakery, and the Jazz and Blues All-Star Festival in Stockholm, Sweden. Susan performs on the concert harp, the electric harp and the Kayagum (Korean zither). Susan has performed and toured with SONOR, Composers in Red Sneakers, San Francisco Contemporary Music Players, Musica Viva, Speculum Musicae, and many orchestras. She has been active in studio recording in the Los Angeles area for Universal, Paramount, and Warner Brothers. She received grants from the Martha Baird Rockefeller Fund for Music, the Massachusetts Arts Council and the Gaudeamus Foundation. She has lectured internationally on both the harp and music pedagogy and has served as a panelist for the National Endowment for the Arts. Her records are on the Flying Fish, Black Saint/Soul Note, 1750 Arch, Meta, Vox, Galaxia, Nonesuch, and Opal/Warner Brothers labels. Play Nice, the musical composition, was written for harpist Elizabeth Panzer in 1997 by Eve Beglarian but it has also be played by one (or two) people on toy piano, midi keyboard, and cimbalom. It appears on 2 CDs: Twisted Tutu’s and Dancing in Place. Anne Bray discovered the piece and Eve Beglarian in the early 2000s in New York City. Starting this year with this piece, Anne and Eve are beginning to connect Eve’s music with Anne’s ambient videos. This work just screened at Stanford’s Lively Arts. When Elizabeth Panzer asked Eve for a harp piece, Eve decided to work with a sweet redemptive pattern she had written as an underscore for an audiobook production of “Gerald’s Game,” one of Stephen King’s more horrific novels. The resulting piece is totally diatonic, doesn’t even require two octaves, uses standard minimalist variation techniques, and in virtually every way plays nice, but it’s actually a mean little thing. The video’s structure of forward and reversal parallels the music’s even though the video is running at 10 percent of normal speed with additional undulation effects. The original scene involved two shepherds on cell phones in western Ireland coordinating traffic and the transfer of a herd of sheep from one field to another. Digitization is allowing for new mergers of time and space in between categories and hierarchies such as nature and culture, which Bray and Beglarian wish to collapse with the new available tools. Jim Ovelmen is a visual artist living in Los Angeles. While often mixing drawing, painting, sculpture and animation, he creates multi-media work. Themes in his work often present humanitarian and idiosyncratic messages relevant to our societal insecurities and pathologies . His work has been exhibited at galleries and museums nationally and internationally, including Torrance Museum of Art, L.A.C.E., Cirrus Gallery, Hayworth Gallery, Kristi Engle Gallery, and Christine Koenig in Vienna. He is also Assistant Professor of Art at California State University Los Angeles. “Queens of Sorrow” overall, is a meditation on the paradoxically opulent and dreary interiors of a Gilded Age mansion of Astor/Vanderbilt proportions. The animation shows a kind of interplay of the inscrutable self-isolation and mindless frolicking and eroticism of characters trapped inside the mansion. A foil to this merry indulgence is a solemn character whose creation was inspired by the late country-folk singer-songwriter Townes Van Zandt. He takes a seated place in the mansion, strumming his guitar in the window-place while his partner takes skyward shots at a hidden target from his Winchester rifle. There are cinematic influences entering the piece including Luis Buñuel’s “The Exterminating Angel”, and also from “Be Here to Love Me” a popular documentary about Townes Van Zandt. Drawings are cast in a time and motion-based form, there is motive of hijacking identity and knowledge and storing into, and questioning, fiction. For me, it is the heartbreaking knowledge of loss and competition with material presence, exploiting the aesthetic-language excess and exuberance of the “Gilded Age” period to reflect upon our own time. Upon the nature of theatrically, the sublime, and spiritual idea of being completely freed from material and responsibility, I am using the form of time, narrative and animation to communicate these ideas. Blast Phemy 4 unites two of Los Angeles’ stellar arts pioneers in the creation of a full evening premier of new audio and visual experimentation. Created especially for this occasion and specifically for the Cinefamily theatre, this promises to be an exciting and unique experience. Musician/composer Carl Stone and media artist Carole Kim join forces for the first time in an evening of experimental sound and image. Plugging into both their interfaces will be the multi-faceted performerPaul Outlaw. These pioneers transcend the post-everything with an astute celebration of hybridity. This is a one-time show, an alchemical experiment not to be missed. Carl Stone is an American composer, primarily working in the field of live electronic music. His works have been performed in the United States, Canada, Europe, Asia, Australia, South America, and the Near East. Stone studied composition at the California Institute of the Arts with Morton Subotnick and James Tenney and has composed electro-acoustic music almost exclusively since 1972. In addition to his composition and performance schedule, he is a faculty member in the Department of Information Media, School of Information Science and Technology at Chukyo University in Japan. Stone utilizes a laptop computer as his primary instrument and his works often feature very slowly developing manipulations of samples of acoustic music, speech, or other sounds. Because of this, as well as his preference for tonal melodic and harmonic materials similar to those used in popular musics, Stone’s work has been associated with the movement known as minimalism. Prior to his settling on the laptop, in the 1980s, he created a number of electronic and collage works utilizing various electronic equipment as well as turntables. Prominent works from this period include Dong Il Jang (1982) and Shibucho (1984), both of which subjected a wide variety of appropriated musical materials (e.g. Okinawan folk song, European Renaissance music, 1960s Motown, etc.) to fragmentation and looping. In this way his work paralleled innovations being made in the early days of rap and hip hop (e.g. Grandmaster Flash, of whose work he was unaware at the time). It was during this period that he began naming many of his works after his favorite restaurants (often Asian ones). His first residency in Japan, sponsored by the Asian Cultural Council, was from November 1988 to April 1989. While living in Tokyo he collected more than 50 hours of recordings of the city’s urban soundscape, which he later used as the basis for his radio composition Kamiya Bar, sponsored by Tokyo FM radio, and released on a CD of the same name by the Italian label NewTone / Robi Droli. 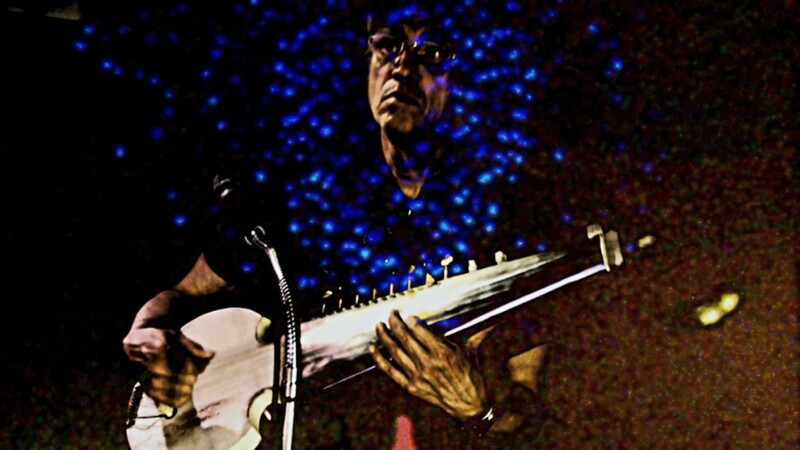 Stone has collaborated frequently with Asian performers, including traditional instrumentalists such as Min Xiao-Fen (pipa), Yumiko Tanaka (shamisen), Kazue Sawai (koto), Michiko Akao (ryuteki), and those working with modern instruments, such as Otomo Yoshihide (turntables, guitar), Kazuhisa Uchihashi (guitar, daxophone), Yuji Takahashi (computer, piano), and vocalists such as Reisu Saki and Haco. He has also collaborated on an album with Hirohito Ihara’s Radicalfashion and recently with Alfred Harth who partly lives in Korea. Beginning in the early years of the 21st century, Stone began to compose more frequently for acoustic instruments and ensembles, completing a new work for the San Francisco Bay Area-based American Baroque. Stone served as president of the American Music Center from 1992 to 1995, and was director of Meet the Composer/California from 1981 to 1997. He also served as music director of KPFK-FM in Los Angeles from 1978 to 1981. Carole Kim is an interdisciplinary artist with a focus on live video performance and performance-based video installation. Digital/new media technologies interface with the sensitivity of the improvisational live performer. The installations explore the illusory architecture of layered video projection in space. The use of live-feed cameras introduces the human form into this layered landscape, mediating the body while preserving the dynamic edge of the live performer. The performance/installations are multi-sensory immersive environments that often explore a de-centralized viewing space. Kim seeks a generative hybrid of disciplines that collapses boundaries and supports an integrated reciprocal exchange between sound, image, movement, space. A particular love for live improvisational new music has fostered many sound/image collaborations with musician/composers including Nels Cline, GE Stinson, Jesse Gilbert, Mark Dresser, Vinny Golia, Wadada Leo Smith, Hahn Rowe, Steve Roden, Sara Schoenbeck, Harris Eisenstadt, Joe Berardi, Jessica Catron, Leticia Castaneda, Albert Ortega, Ellen Burr, Catherine Lamb, Yorgos Adamis, Motoko Honda, Gilbert Nouno, Joelle Leandre, Carla Bozulich, Alex Cline, Scott Amendola. Wadada Leo Smith, Mark Trayle, Karen Elaine Bakunin, Nick Didkovsky, Daphna Naphtali, and Pheroan Aklaff. She has collaborated with the following dancer/choreographers: Oguri, Roxanne Steinberg, Michael Sakamoto, Shuriu Lo, Stephanie Nugent, Jesske Hume, Liz Hoefner, Hassan Christopher, Christine Pichini and Maya Gingery. A lineup of visual artists and filmmakers has contributed to past projects including: Astra Price, Maile Colbert, Mirabelle Ang, Rebecca Baron, Beth Bird, Eve Luckring, Adele Horne, Christine Marie, Bo Sul Kim, Ann Kaneko, Lisa Tchakmakian, Pablo Molina, and Alex Lorge. She has exhibited and performed widely in the US and abroad. Recent venues include the Museum of Modern Art, New York, Museum of Contemporary Art-Los Angeles, REDCAT/Disney Hall, the Getty Center, Springwave Festival/LIG Performing Arts Hall (Seoul, Korea), Decibel Festival/Seattle, Trampoline: Platform for New Media Art (Nottingham, England), the Stanford Jazz Festival, Issue Project Room and Engine 27 (New York), Arizona State University-West Interdisciplinary Arts & Performance Program (Phoenix, AZ), the Knitting Factory (LA), ArtSonje Center (Seoul, Korea) plus numerous festivals and performance series. Last summer she was in residence at Montalvo Arts Center, Saratoga and a Master Artist-in-Residence at the Atlantic Center for the Arts., FL. Paul Outlaw is a Los Angeles based writer-performer whose interdisciplinary solo and ensemble work blends movement, theater and music. A recipient of a 2008 Durfee Foundation ARC Grant for Berserker (named Best Male Dramatic Solo Performance at the San Francisco Fringe Festival), he has performed throughout North America and Europe. On the screen he played the title role in Pepe Danquart’s Schwarzfahrer (Black Rider), winner of the Academy Award for Best Live Action Short Film in 1994. Excerpts from Outlaw’s latest solo work, The Late Late Show, have been presented in Winter/Spring 2010 at Highways Performance Space in Santa Monica, CA. He was recently seen as the singing narrator of Tov, the new dance theater work by Rosanna Gamson/World Wide, which premiered in Los Angeles at REDCAT in March 2010. Experience the contemplative mastery of James Whitney’s exquisite abstract experimentations wedded to the award winning percussive mastery of the legendary Gregg Johnson making a rare SoCal appearance. New, exquisite digital transfers of Yantra and Lapis were supervised by the Whitney Estate and the Academy Film Archive The first half concludes with the multimedia mastery of Lucky Dragons whose song-based explorations with home-made synthesizer, vocal virtuosity and found object percussion meld with experimental films to “encourage connections between show-goers over the standard-issue connection between a band and their creation and the audience’s emotions”. We conclude with Transvalue, the prodigious brainbaby of trombonist/composer Michael Vlatkovich, percussionist David Crigger and spoken word artist Chuck Britt, melding virtuosic musical settings for L.A.’s finest jazz musicians supporting, surrounding and interacting with Mr. Britt’s growling, hissing, warbling and verbal dances, all graced with the visual explosions of Steve Shoffner. This show will never be replicated on this planet. James Whitney (1921-81) began collaborating on abstract films with his older brother John in the early 1940s. James became increasingly involved in contemplative, spiritual interests-Jungian psychology, alchemy, yoga, Tao, Krishnamurti and consciousness expansion-which became the subject matter of the films on which he labored for over 30 years. The two works in this program – Yantra (1957, 8 mins, 16mm, color) and Lapis (1966, 9 mins, 16mm, color) – are seminal works of visual music, as vital and stunning today as they were almost half a century ago. 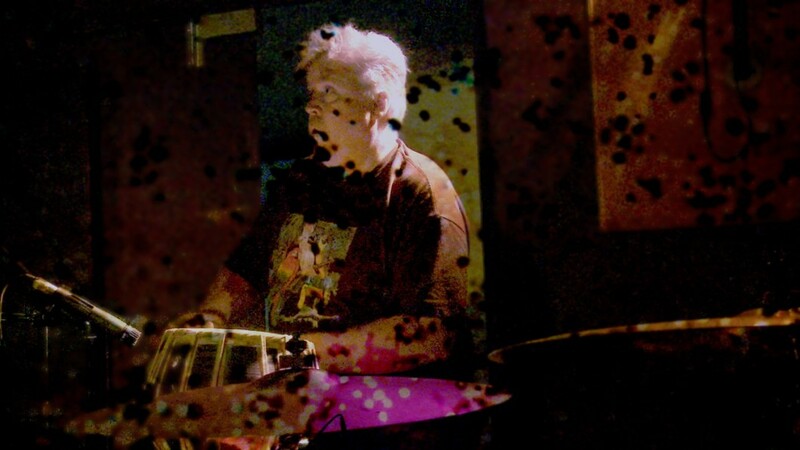 Gregg Johnson is an innovator in modern hand drumming and percussion, synthesizing the musical traditions of India within contemporary classical contexts of ‘junk’ and ‘found object’ percussion. Gregg is an award winning composer for theatre and film, having received a Dramalogue Critic’s Circle award for sound design and performance in a score for Steven Berkoff’s adaptation of Kafka’s Metamorphosis at the Mark Taper Forum. He composed and performed for multiple seasons of the LA Music Center’s Improvisational Theatre Project and for THEATREWORKS’ Pericles, Prince of Tyre and A `Midsummer Night’s Dream. Montino Bourbon was born in Rome in 1942, and has been a musician all his life. In 1967 he started studying with Ali Akbar Khan, considered the greatest Indian musician of the 20th century. He finished his studies in 1979, and since then lives in Santa Barbara, where he teaches, gives concerts, and composes original music. “lucky dragons” means any recorded or performed or installed or packaged or shared or suggested or imagined pieces made by Luke Fischbeck, Sarah Rara, and/or any sometimes collaborators who claim the name. the name “lucky dragons” is borrowed from a japanese fishing boat caught in the fallout of hydrogen bomb test at bikini atoll in the 1950’s. the crew stricken ill, and the boat itself contaminated, the “lucky dragon” became a crystalizing symbol for the previously diffuse worldwide anti-nuclear sentiment. eventually the boat was painted black, renamed the “dark falcon”, and put into reuse as a fishing vessel, until it was retired and disposed of on the man-made trash island “dream island”, where it remains today. lucky dragons are about the birthing of new and temporary creatures–equal-power situations in which audience members cooperate amongst themselves, building up fragile networks held together by such light things as skin contact, unfamiliar language, temporary logic, the spirit of celebration, and things that work but you don’t know why. There have been hundreds of these simple yet shifting and unpredictable instances–with audiences ranging from the intense intimacy of one person to the public spectacle of thousands of people. At the heart of it all is playing together–building up social collectivities, re-engaging the wonder and impossibility of technological presence. It sounds–and looks–like simple and ancient patterns coming together and falling apart in a sincere attempt to let wires and screens and words become clear and crystal. Fischbeck and Rara have presented interactive performances and installations in a wide variety of contexts–including MOCA Los Angeles, The Smell, Smithsonian’s Hirshorn Museum and Sculpture Garden, the Whitney Museum of American Art (as part of the 2008 Whitney Biennial), The Kitchen and PS1 in New York, the Walker Art Center in Minneapolis, REDCAT and LACMA in Los Angeles, Frankfurt’s Schirn Kunsthalle, ICA London, ICA Philadelphia, and the Centre Georges Pompidou in Paris. lucky dragons’ sister projects include “sumi ink club”–a weekly collaborative drawing society, and “glaciers of nice”–a small press and internet community. today’s influences: nikki de st phalle, joan didion, CoBrA group, crass, hieronymous bosch, thomas jefferson, tina turner, allan kaprow, joan jonas, bruce nauman, mayan codices, ivor cutler, jacques ranciere, helio oiticica, lygia clark, giorgio agamben, pauline oliveros, terry riley, plastic people of the universe, eliane radigue, bruno munari. Since 1980, under the name Transvalue, trombonist/composer Michael Vlatkovich has been, with his unique brand of improvisationally-friendly compositions, creating musical settings to support, surround and interact with the writings and vocal performances of spoken word artist Chuck Britt. For this event they are joined by a third major collaborator and in percussionist David Crigger. Over the years, Transvalue has grown into a sort of repertory company of West Coast experimental jazz artists with the instrumentation and personnel varying with the needs of the material. Beyond Michael and Chuck, one mainstay of this repertory company has been drummer/percussionist, David Crigger, whose role as recording engineer/mixer has grown beyond mere capturing of performances, but the editing, shaping and extending those performances to match Transvalue’s current vision of itself. Other player’s having performed on all three Transvalue recordings include bassist, Domenic Genova; multi-woodwindist, Vinny Golia; trumpeter, Lou Gonzales; and keyboardist, Warren Hartman. Transvalue’s latest recording, “Book III” also features Glenn Horiuchi on piano; Jay Hutson and Bill Plake on woodwinds; Mark Underwood on trumpet; George McMullen on trombone; Bill Roper on Tuba; Melanie Cracchiolo and Chuck Sabitino on lead vocals; plus many other guests. Chuck Britt, Vocals/Poems/Verbal Expressions observes and invites us into his American life. From his loving but disturbed and too intense fifties family, through the polluted, war and riot torn, deteriorating sixties, the inflated, over watered desert of Los Angeles and the world of performance art and jazz in the seventies and eighties, through his visions of redemption in death and unlikely family healing over the last twenty years in the Northwest, Chuck growls, hisses, warbles and dances his vision. We can come or not… but it is clear that he will go on relentlessly. William Roper, Tuba, has recorded with the rock bands: Thelonious Monster, The Fibonaccis and The Other Woman; poets: Jimmy Townes and Mark Weber; avant ensemble: Motor Totemist Guild; the Los Angeles Philharmonic, Parachute Express; as well as The Clayton/Hamilton Jazz Orchestra, American Jazz Institute and Los Angeles Jazz Institute ensembles, the Orchestre Surreal, The Luckman Jazz Orchestra under James Newton, Bobby Bradford, Anthony Braxton, John Carter, Jimmy Cleveland, Billy Higgins, Yusef Lateef, Wadada Leo Smith, and Horace Tapscott. Vinny Golia, Woodwinds, has presented his music to concert audiences in Europe, Canada, Mexico, Japan and the US; won numerous awards as a composer, including grants from the National Endowment for the Arts, The California Arts Council, and the American Composers Forum; won LA Weekly’s “Best Jazz Musician” Award in 1999; ranked 1st in the Cadence Magazine Writers & Readers Poll in 1998; continually places in the Downbeat Critic’s Poll for Baritone Saxophone; . Jazziz Magazine named him as one of the 100 people who have influenced the course of Jazz in our Century. David Crigger, Drums/Percussion/Additional Keyboards/Programming & Sound Manipulation …joined the Don Ellis Orchestra at age 18 and has since recorded and performed with Elvis Costello, Klaus Doldinger’s Passport, Burt Bacharach, Brian Auger, Free Flight, Willie Bobo, as well as the big bands of Ralph Carmichael, Joe Roccisano and Bruce Lofgren; written for numerous magazines on music technology; engineered/produced CD’s for Jeanette Wrate, Bruce Lofgren Jazz Orchestra, Bill Plake and others. Domenic Genova, Acoustic & Electric Bass is a mainstay of the Los Angeles music scene; has played/recorded with Seals & Croft, Tori Amos, Michelle Shocked, Olivia Newton-John, 5th Dimension, Melissa Manchester, Jeff Richman, and Thom Rotella”. His Film and T.V. credits include Home Improvement, Star Trek Deep Space Nine, Roseanne, Happy Days, Little Mermaid, Married to the Mob, Naked Gun 3.5, Bye Bye Love, Leap of Faith, and Rookie of the Year. Wayne Peet, Keyboards, moved to Los Angeles in 1978 to play with John Rapson. He played with Alex Cline, Nels Cline, Vinny Golia, and Steuart Liebig in the 1980s, and recorded for Golia’s Nine Winds label. Peet has composed extensively for film and television, and also does production and engineering for Nine Winds, pfMentum, Blue Note, Enja, Atavistic, Little Brother, SST and other labels. He wrote arrangements for Brian Setzer from 1992-94, played with Bobby Bradford in 2000 and engineered the first Leviathan Brothers EP in 2005. Steve Shoffner is an artist and designer who received his Masters of Fine Arts from Claremont Graduate University in 2003 with an emphasis in photography and digital media. Steve creates art in the studio as well as collaboratively with The League of Imaginary Scientists, a group of artists and scientists who engineer hybrid art works in the cross-section of their fields. The League’s projects span the globe with their current endeavor taking them to Ireland to study the Mars Rovers’ findings on Mars and learn more about Ireland’s changing climate. His solo Looking Glass series are interactive installations that combine performance and video to create illusions that manipulate the perceptions and expectations of his audience. His work, inspired by the everyday’s peculiarities that are often overlooked, reenacts humorous scenarios where technology leaves viewers bewildered and disconnected. Steve exhibits his projects in public domains as well as traditional galleries, such as Track 16 Gallery in Santa Monica, The Armory in Pasadena, The Torrance Art Museum, Union College in New York and the Casula Powerhouse outside Sydney, Australia. His most recent project titled Cloud 29, a video existing on a unique arrangement of fifty-eight 46-inch screens placed end to end, will be unveiled at Los Angeles International Airport in the summer of 2010. Thank you for believing in us! NewTown Arts is supported, in part, by the Los Angeles County Board of Supervisors through the Los Angeles County Arts Commission.